Republican gubernatorial candidate Bruce Lisman is worth $50.9 million, according to financial disclosures he released Monday. He owns a $5 million home in Shelburne and last year made $1.7 million, primarily from investments. Lisman is the first candidate for governor to release his assets. Some other states require candidates to release specific information, but Vermont does not. While most past candidates for governor have volunteered the information, there’s never been a standard for what should be released. As founder of the public-policy group Campaign for Vermont, Lisman advocated for requiring the release of information to allow voters to gauge whether a candidate has any conflicts of interest. Monday, he urged other Vermont candidates for governor to follow his lead. “I think this sets a pretty good standard,” Lisman said. Lisman is competing for the 2016 Republican nomination against Lt. Gov. Phil Scott, while Matt Dunne and Sue Minter are vying for the Democratic nomination. Dunne’s campaign manager, Nick Charyk, said Dunne will release his information May 15 to match congressional candidates’ timing, or sooner if there is a clamor for it. Brittney Wilson of Scott's campaign said he'll release his assets after he files his taxes for 2015. Sarah McCall of Minter's campaign said she will do the same. The disclosure shows Lisman has plenty of assets available as he launches an underdog Republican primary race against Scott, a three-term incumbent lieutenant governor. Lisman emphasized that he built a successful career from humble beginnings. The son of a schoolteacher and a secretary, Lisman grew up in Burlington and graduated from the University of Vermont. Lisman said he thinks voters will focus on his ideas, not his wealth. He declined to say how much of his own money he has spent on his campaign or how much he plans to spend. “We’ve just barely begun to raise money from people,” he said. Lisman spent more than $1.3 million of his own money on Campaign for Vermont, an indication of his willingness to spend. Lisman’s wealth dwarfs that of the man he hopes to replace in the governor’s office. Democrat Peter Shumlin, who is not seeking reelection, reported $10 million in assets for 2013, but declined to delineate the source of some of that income or release information for the previous year. Lisman released information for 2014 and 2013. Lisman said his release shows he does not have any conflicts of interest for serving as governor. Lisman holds a portfolio of investments in brokerage accounts totaling $19.7 million, according to his release. Of that, 28 percent is with J.P. Morgan, the investment firm where the retired executive last worked. He also listed $4.5 million in retirement accounts. Lisman said he has investments in several Vermont companies, including NSA Industries, a manufacturer in St. Johnsbury; SemiProbe, a manufacturer in Winooski; NG Advantage, a compressed natural gas company in Colchester; and Point Bay Marina in Charlotte. 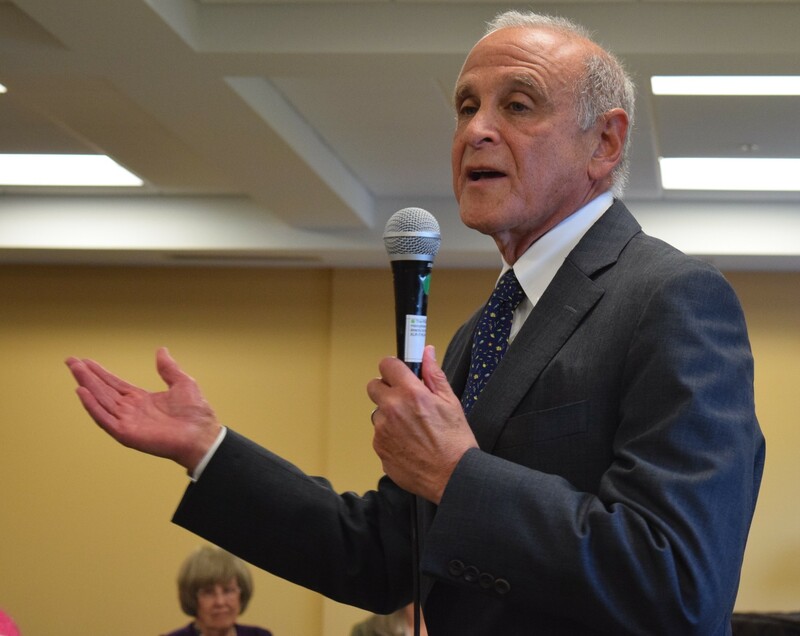 Lisman also emphasized that he gives to 13 charities and institutions, including the University of Vermont, and to a scholarship for nontraditional students there created in memory of his father.